While the local angling population focusses on the siren song of winter steelheading, the McKenzie River is quietly waking from its midwinter slumber. On a recent midday outing, Fred and I managed a couple of nice redsides on nymphs and had the river to ourselves. 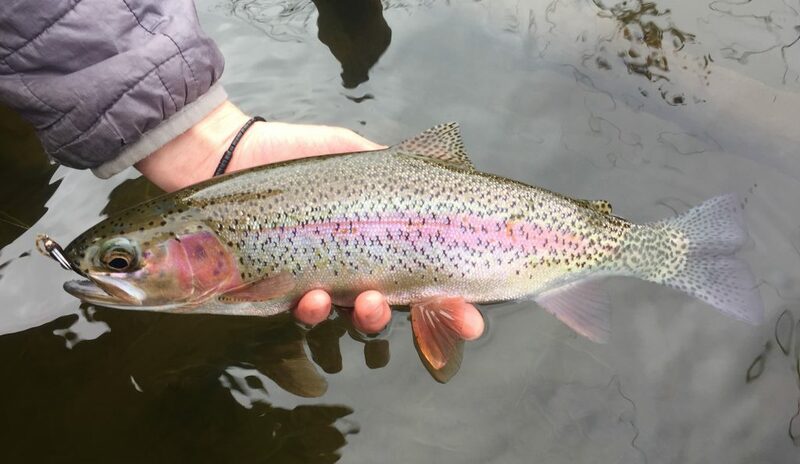 As we transition into the new season here in the Valley, trout fishing will steadily improve. Sometimes a few hours floating and some chunky trout can be a welcome respite from the chaos and drama of day-to-day reality. McKenzie River Spring Special Rate: $275/boat for a 4-5 hour trout fishing tour. The MRSS runs from February 1 – April 20, 2017. Limit 2 anglers/boat. All fly fishing gear and flies as well as water & sodas provided. BYO lunch/snacks.